Dansko is taking on your busy life in a brand new way with Dansko Paisley. 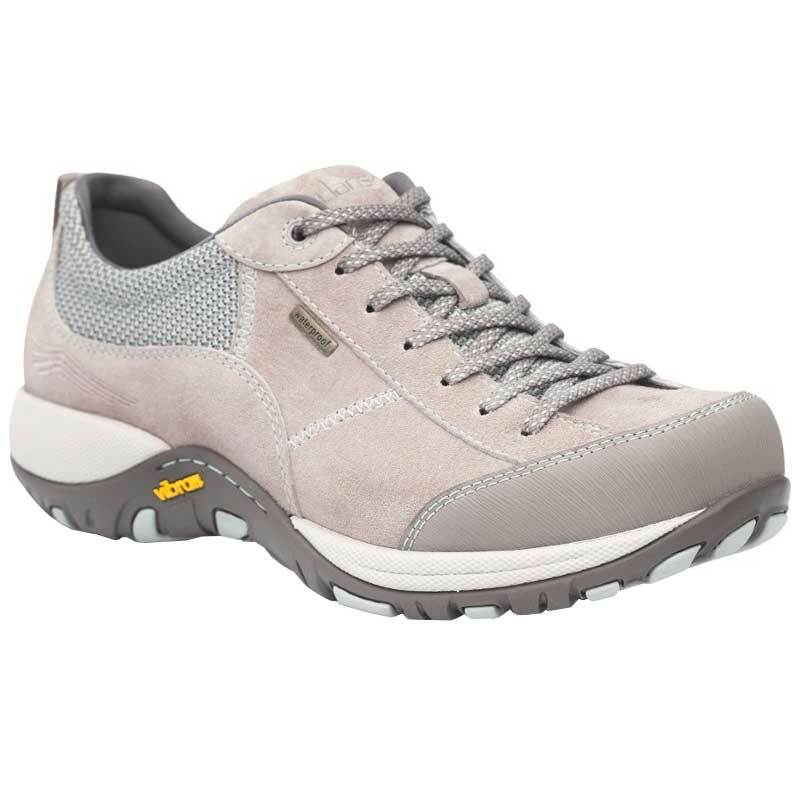 This sport-inspired walking shoe is packed with features that will make your day run smoother. The leather uppers have been treated with Scotchgard™. This little feature helps make Paisley resistant to water and stains while the breathable waterproof membrane will keep your socks dry! Dansko has also included DuPont Sorona™ for moisture management, and CleansportNXT™ for any potential odor control. A Vibram rubber outsole will ensure you never miss a beat on either dry or wet surfaces, while your foot is supported by a removable, triple density footbed that has been infused with Dansko Natural Arch™ Technology. With a traditional lace up design for secure wear and cross stitching accents, you'll never go back to your old sneaker once you try the Dansko Paisley.